A jinni-related book! 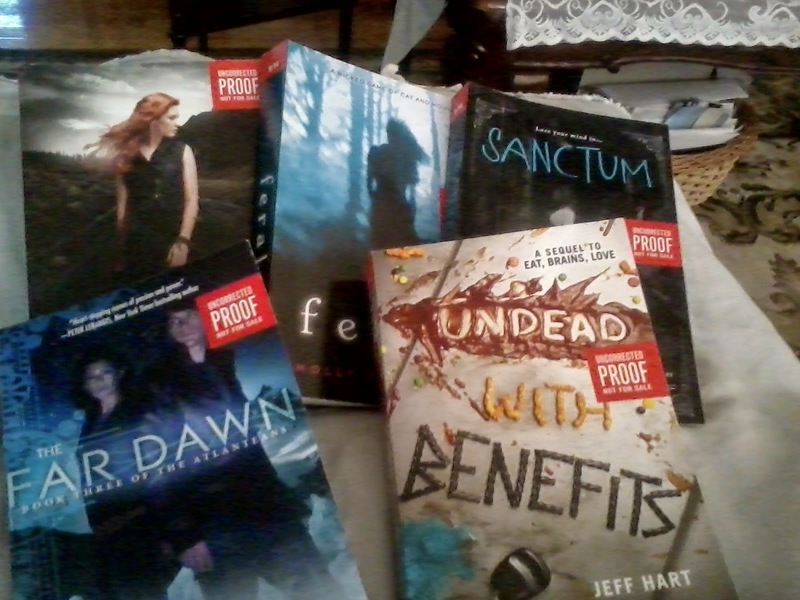 I don't think there are too many jinni-related books in YA literature, especially these days. I don't see why not, there is so much one can do with jinni and wishes and such. If you're looking for fantasy novels featuring jinni, there is this one, and one coming out in October - Exquisite Captive by Heather Demetrios. I have that one - look out for my review in late August/early September ish. Najwa is a jinni, Zayele is a human. Both live in two very different worlds, but the worlds are connected by one thing: the jinn and human races are at war. Jinn are not permitted to enter the palace at Baghdad, due to strong wards. But somehow, Najwa gets in. And on her third time to the palace, she gets caught. By Zayele, who is on her way to the palace to become the second prince's bride, against her will. Zayele forces Najwa to grant her a wish: to let Zayele go home. This wish does not happen as expected, because Najwa is stuck in Zayele's world, and Zayele is sent to Najwa's. At first, I was a bit skeptical. The whole switching-places thing, the deception, the scrambling to find one's way in a new world, I'm not always a huge fan of that. But I found that once we got to the wish that Zayele made Najwa grant, I was sucked in. I HAD to know how Najwa would pull off trying to act human (because jinn don't leave among human, obviously, and Zayele came from a very distinct tribe). I HAD to know how Zayele would pass off as a jinni, since she had no jinni powers, not even the symbol that marked her as one of the jinn in the Corps. I also don't necessarily like when a book is told from two different people, both of those people being girls. I know that sounds really bad, but I like split narratives with a guy and a girl. When it's two girls, like two sisters, two best friends, etc., I tend to really like one of them (usually whoever's narrative was featured first in the story), and I tend to seriously dislike the other. Not so in this book. I liked Najwa more, but that doesn't mean that I didn't like Zayele. Najwa is such an interesting character. She's slightly anxious, a bit unsure of herself and her magic, but headstrong and brave. She was extremely upset when she realized that she was stuck in the human world, that she was caught to begin with, but she immediately took to pretending to be Zayele. In my opinion, she did this flawlessly, even when she felt shaky and exposed. It took me a little bit to understand and like Zayele. Najwa is featured first, and I wanted to get back to her story. But Zayele's side of things is heartbreaking. Her father traded her to the vizier like she didn't matter. She didn't want to go, but she went without too much of a fight. She didn't want to dishonor her tribe, which is noble. What she asked of Najwa wasn't far-fetched or cruel - she did what any desperate girl would have done in her situation. I ended up liking Zayele a lot, and I was rooting for her at the end, hoping that she would succeed in, well, what she needed to do. No spoiling! So the plot surrounded Najwa and Zayele's switching. Najwa is with Rahela, Zayele's cousin, and Rahela knows that Najwa is a jinni. Rahela helps Najwa enormously, especially with acting human and about Zab (Zayele's tribe). Zayele is discovered in the jinn world before Najwa is discovered in the human world (I don't think this is a spoiler, because it's totally inevitable). 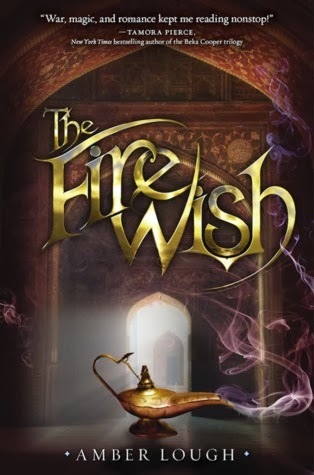 Things aren't just about the jinni that got through the palace wards, or the human that got sent to the jinn world - the girls will realize that there is so much more than what they taught was a simple wish. There were twists and turns and curveballs that I really did not see coming - props to Lough for that! So well done! The romance - yes, there is romance in this book. I saw it coming, on both Najwa and Zayele's end. In the beginning, Najwa is "supposed to" be in love with Atish, a talented jinni. She doesn't, and he doesn't necessarily love her, though they are good friends And of course, Zayele is supposed to marry the second prince, Kamal. So, what do you think happens when the girls switch? Personally, I didn't care much for Zayele and Atish. Not that I didn't like them together, but eh. I really REALLY liked Najwa and Kamal together - they are totally perfect for each other. Contemplative, thoughtful, intelligent, clever - they are too smart for themselves, and so sweet for each other. Love! A general note - the world-building in this book was STUNNING. We have several "worlds" in this book - at the palace in Baghdad, and the jinn world (not sure what to call it, I think I missed that note). Both worlds are so well-described, so intricately constructed. I could imagine the garden at the palace pretty perfectly, down to the selenite ball. The imagery in this book is so wonderful. The settings were rich and captivating, the characters fleshed-out and "real". Seriously, I loved this book. The beginning was slow (see the next section), but once things got going, they were going. I LOVE how Lough built this story (both in this book and in the series) - the set-up is amazing, because I can totally see the possibilities for the next book (and in the series in general). Brilliant! This book was brilliant. I want more! I mentioned this above, but something that I noted was the slow start. I remember reaching around page 58 and wanting to stop for the night. It wasn't that I was bored, it was that I didn't think much was happening, like the story wasn't going anywhere. I kept reading though, and around page 100 or so, things started to get interested. Yes, it took about 100 of the 320 pages for this book to really start. BUT, stick with it. I promise it's totally worth it! Yes! 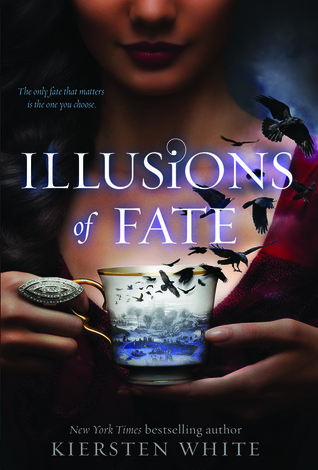 There aren't many jinn-related books in YA literature, so I think this is one not to miss. Also, in general, it's an awesome fantasy novel! I love the culture infused in this book, as well as the fantasy elements of princes and palaces and whatnot. And the romance! I love it! Seriously, there are so many fabulous things about this book. I could go on and on! 4 stars. An excellent debut, truly remarkable! I cannot wait to read more from this series, and from this author. SEQUEL, NOW. So, what did I get in the week of Sunday, June 22nd to Saturday, June 28th? So much awesome in one package! Thank you so much, Harper! I cannot wait to read this one! Thank you, Disney! I'm excited about this one! Fantasy, and I've had success with White's books recently. I took my final exam on Friday, so I'M FREE! From summer classes, that is. I start my job at the university on Monday. No rest for the wicked! I think that's it from me, for this week. I'm fresh out of covers! Perhaps check back next week? After this one, of course. I LOVED Uninvited (review here)! Here is the cover to the sequel, Unleashed! On the run from government agents, Davy is rescued by Caden, the charismatic leader of an underground group of rebels. Despite Caden’s assurances that the Resistance is made up of carriers like her, Davy isn’t sure she can trust them. Then again, she doesn’t even know if she can trust herself . . . or her growing feelings for Caden. But if she doesn't belong with Caden and his followers, is there anywhere she can call home? THIS BOOK. GUYS. THIS BOOK. It is soooo good! I have mixed feelings about it, actually, but as I finished, I was like, WOW. One huge thing bothered me, but this thing can be fixed in book three. PLEASE, Kresley Cole. Go this certain way. You'll see what I mean below. 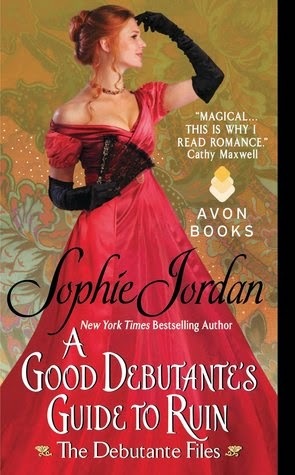 In this highly anticipated sequel (Poison Princess was one of my favorite books of 2012! ), Evie must strengthen and create more alliances, in order to take down the one card that everyone fears: Death, the Endless Knight. As she, Matthew, Selena, Jack, and Finn flee from other Arcana, Bagmen, and Death himself, they find themselves relying on other Arcana, attempting to trust other Arcana, and betrayed by other Arcana. Secrets are uncovered, and sacrifices must be made. In the end, the result is the same: Evie must face Death. This book was filled with nonstop action, nonstop battles, twists, blood, death. 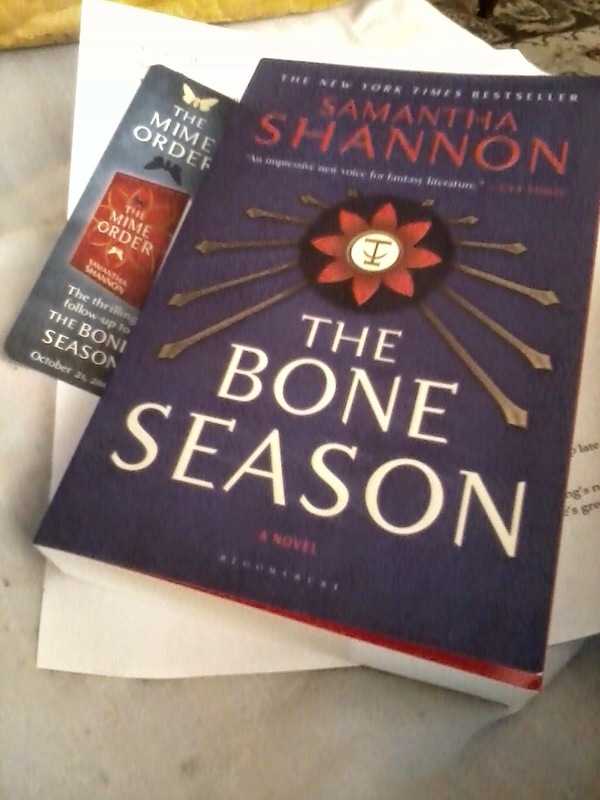 I wanted to keep reading, wanted more from the story, wanted the next book by the time I was finished. This is rare in sequels, I find. 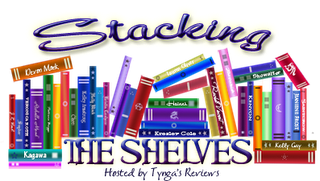 Sequels often have weird and sometimes lagging pacing, because they often act as filler books. Not so with this book. HUGE, critical events happen in this book, including Evie surrendering to Death in order to save her friends (not a spoiler, I promise). Evie creates alliances with other Arcana; some are successful, some are double-crossed. 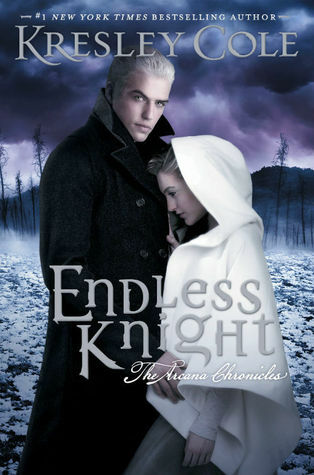 But Evie is captured by Death, and she must find a way to defeat him. As always, Cole creates a wonderful cast of characters that readers can connect with and root for. I really like Finn, of all of Evie's band. I think he always gets the short end of the stick, but he has such an infectious personality. What a funny, lovable guy! Okay. I'll be honest. 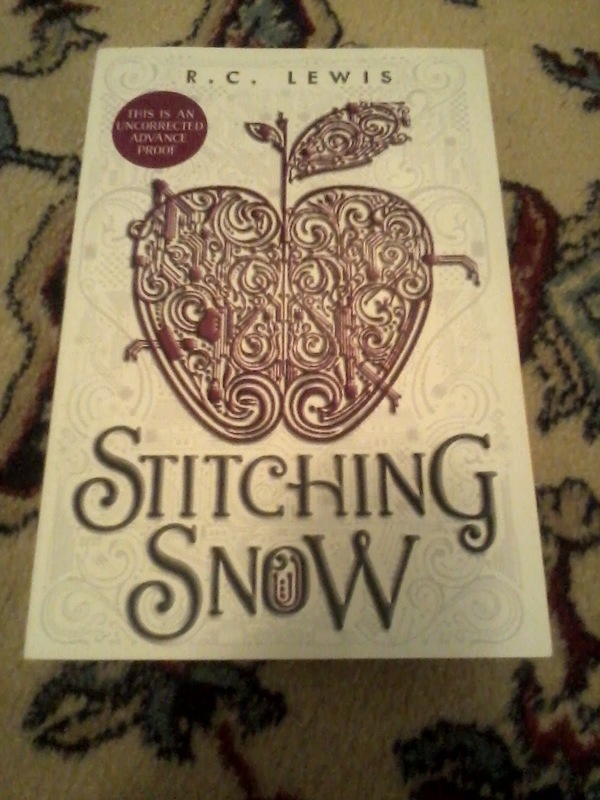 I was enthralled by this book, but even more so when Death and Evie started interacting face-to-face. Death is so FASCINATING. I knew from book one that there would be more to him than Kill Evie kill everyone win the game. Death is so much more, so complex, so lonely, so sad. I felt bad for him in book one, but I REALLY felt bad for him in this book. He can't touch anyone without killing them. Except Evie - she is Life, he is Death. I loved the cruel banter between Death and Evie. Usually, it was Death shutting her down when she had requests or questions, or threatening to make her suffer even more, or terrible things like that. But as you keep reading, you see that Death has motives, and he and the Empress have a past. It was terrifying and incredibly sad to understand Death. I want to hug him! That being said, yes, there is a love triangle in this book. And it's a "bad" one, fully-blown. Evie is (supposedly) in love with Jack, and he's in love with her (again, supposedly). But Evie falls in love with Death, and vice versa. Personally, I'm on Death's side, though I feel like Cole is going the other way with this one. I'm trying not to be too sad about that, and I'm mentally bracing myself. But at the same time, there is plenty of reason for Evie to end up with Death. They're ARCANA. Jack is not. Ugh ugh ugh. I like Jack a lot. But can he go with Selena or something? Or leave Evie alone? This sequel was AWESOME. I'm so glad I read it, but so irritated that I waited so long to read it. Then again, the third book doesn't come out for months. If I had read this book when I got it (October 2013), I would have had to wait more than a year for book three. So I guess things work out. I described it already... the love triangle. GO DEATH! I like Jack and all, but I love Death, and not just because he's one fine piece of Arcana. Death's character and being and essence is so much MORE than Jack's. Jack acts like a child, seems insignificant, compared to Death. So, this love triangle is the real deal, because Evie seems to be in love with both of them. This is what bothers me about love triangle - when the heroine herself loves both of them. LOVES both of them. I don't care if two or three or ten people are in love with the heroine. It irritates me when the heroine reciprocates these feelings to more than one person. It's so... not monogamist. And that's why fully-blown love triangles bother me so much. This is definitely one of them. And I think Cole is leaning towards Jack's way - which makes me a tiny bit mad. Why build up Death's case, why have THIS book all about Death, convincing me that Death should be with Evie, when Evie will end up with Jack anyway? Of course, this is just me speculating. I have no idea if Cole will have Evie and Jack end up together. Personally, I'm hoping that doesn't happen - I'm hoping that Evie and Death happen. YESSSS! Well, if you've read book one, DEFINITELY read book two. This book is even better than book one, despite the emerging love triangle (yuck). If you haven't started this series yet, be sure to do so... but perhaps wait until January, when the third book comes out. This is an amazing series, and it will probably be one of my favorites (that is heavily dependent on how the romance turns out). 4.5 stars -> rounded down to 4 stars. THIS BOOK WAS SO GOOD! I know my rating is lower than what I gave Poison Princess, but I actually enjoyed this one MORE than I enjoyed the first book. Minus one detail. If this love triangle works in "my" favor, then this book will truly get 5 stars from me. But as I don't know, it's getting 4.5 stars! Tis the season to be revealing Winter 2015 covers! This one actually releases on the last day of 2014, but same difference. Are you ready to see the cover! Here it is! So when smoking-hot Nathan Diggs transfers to Lincoln High, it shouldn't be a big deal. At least that’s what Aubrey tells herself. 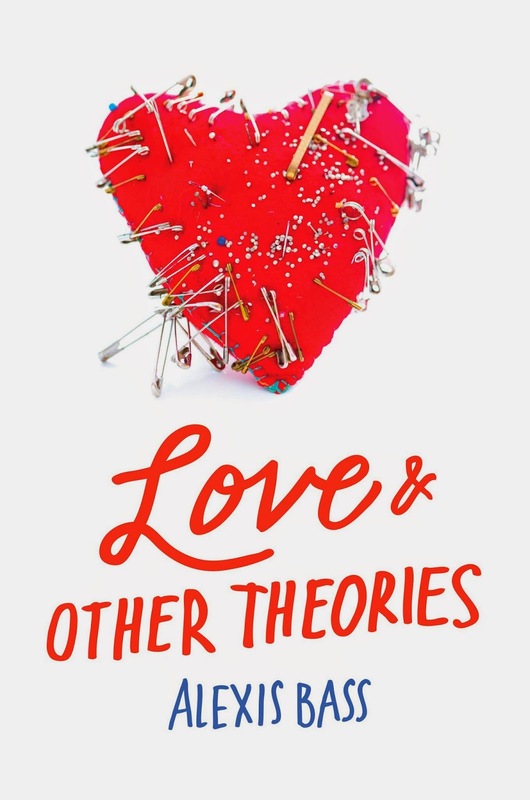 But Nathan’s new-boy charm, his kindness, and his disarming honesty throw Aubrey off her game and put her in danger of breaking the most important rule of all: Don’t fall in love. This week, my swoon is from Solving for Ex by Leigh Ann Kopans! ... Instead of just letting him kiss me, I reached up and threaded my fingers through Vincent's gorgeous curls, and opened my lips, letting his breath mingle with mine. And when he pulled away, grazing my bottom lip with his teeth gently enough to make me want more, I went after it, clutching at his shirt, pressing my chest again his, and letting the quietest moaning sigh tell Vincent that I was definitely not afraid of him either. Okay. So I didn't love this book. But I really like that swoon! This book came highly recommended to me by a good friend, Pili of In Love with Handmade! I know, I know, my rating for this book is pretty poor. This is one of those books that you think you'll absolutely love, try so hard to love it, and ultimately, don't. 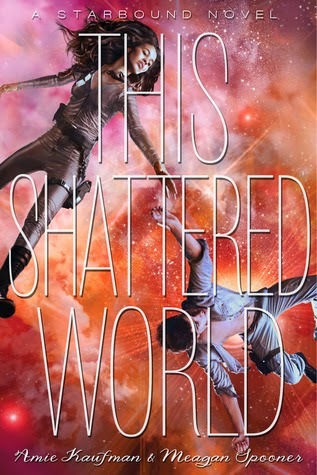 I thought the romance and the mathy premise would be enough for me to love this one, but there was so much more to this book, in a good and bad way. Ashley has been in love with Brendan since she moved to Mansfield Park a year or two ago, but he is so clueless, it's unreal. Then twins Sofia and Vincent move to Mansfield Park. Sofia immediately latches on to Brendan, taking all of his attention from Ashley - and taking Ashley's spot on the Mathletes team as well. Vincent, on the other hand, seems genuinely taken with Ashley. Shouldn't all end well? Well, no, because Ashley is wary of Vincent, hates Sofia, and is still painfully in love with Brendan. The first half of this book really interested me - I couldn't take my eyes away from the pages! The first half dealt with the arrival of Sofia and Vincent, and how Brendan and Ashley reacted to the twins. I liked seeing Ashley get jealous of Sofia, but then I liked seeing Ashley spend time away from Brendan. Brendan is so clueless, but occasionally he'll notice that his best friend isn't hanging off his arm anymore. I liked the romance up until it started getting annoying, which I know is really vague, but if you read this one (which you probably won't), you'll see what I mean. I liked Vincent and Ashley together - he seemed genuine and kind and a little too perfect. But towards the end, I was sick of everyone. I didn't like the end. Read on for more. The characters, the romance (overall), the ending. Three huge things that were really, really bad in this book. Totally ruined this book. I'll start with the characters, and with Ashley. I didn't dislike Ashley, to be honest. But I found her a bit flaky, and she definitely strung Vincent along, in my opinion. If I were in her position, I might have used Vincent a little, to make Brendan jealous, just as Ashley did. But not to the point that Vincent might have started wanting more. Hanging out is one thing. Driving hours to see the other is another thing entirely. I flat-out hated Brendan. What. An. Idiot. I don't dislike him for not noticing that Ashley loved him or whatever. No, I didn't like him because he is so stupid! I think this is the way the author developed his character- it was so poor. Brendan seemed TOO perfect in the goofy, sweet, clueless guy way. I've never met a person even close to what Brendan seemed to be like (and that's saying something, being a teenage college student around thousands of people). I think his character was underdeveloped, because it seemed like Brendan lacked substance. Or maybe that was supposed to be part of his "appeal". Hated Sofia. Liked Vincent until the author seemed to force bad things down his throat. It was so forced, the way the author tried to turn Vincent into the "villain" with Sofia. Sofia, I could see being sadistic and twisted. Vincent, I couldn't. The author really forced his flaws and "bad deeds" into the story. So badly done. Literally everything about the ending was poor. The romance SUCKED BALLS (pardon my language). I am SO ANGRY that everything ended cookie-cutter perfect for Ashley and Brendan. I think it must really difficult for authors for make a story in which one best friend is in love with the other, and the other one is NOT in love with the other, nor does he realize that he is, because he NEVER IS. WHY is that so difficult, or so unused?! I seriously rooted against Ashley and Brendan the entire story, even though part of me knew what was coming. Cue the vomiting. How cliche. ESPECIALLY when the author started incorporating all the negative things that made Vincent seem like a bad person. Horrible foreshadowing, awful decomposition of a character, and unbelievable destruction of the romance. As much as I love a good romance, I'm quite cynical when it comes to romance. Why can't Ashley be with no one? Or neither Vincent nor Brendan? What's wrong with being solo? Or moving back to her old town? Or something else. Ugh. When I finished this book, I probably had the biggest WTF expression on my face. I'm not sure what was going on with this book, but whatever it was, it wasn't well-created. Hmmm, not really. Honestly, I would have passed this one straight if Pili hadn't recommended it! And it was something that I totally thought I would enjoy (brainy heroine, unrequited love with the best friend, new guy, and math math math! ), but I didn't. And that's okay! But I suppose that could serve as a warning. 2 stars. Nice try. I enjoyed half of this book, but the second half killed everything, literally obliterated any chance of me loving (or even liking) this book. Which is really sad for me. And for those of you wondering about the recommendation - fear not! Pili recommended Pivot Point by Kasie West next, and I am really excited for that one! Catch my review next month! I love this time of year, when the Winter novels get their covers. Or Spring, or Summer, or Fall. Today, I have the cover of a novel by a dear author to me, Paula! What does Paula think about the cover? 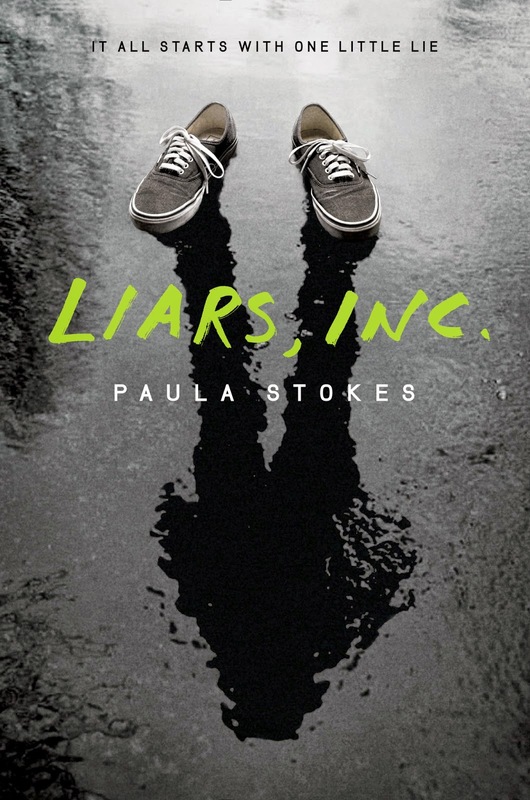 I’ve talked about how LIARS, INC. is very different from THE ART OF LAINEY, and this cover really highlights that. LIARS has first-person narration, a bit of romance, and similar fast-paced dialogue to LAINEY, but that’s where the major similarities end. This book is a dark mystery for fans of I HUNT KILLERS, PRETTY LITTLE LIARS (the TV show, because I’ve never read the books), or old-school Christopher Pike novels. I hope you love it, because if it does well I might get to write a companion novel, and I’m seriously not ready to let go of these characters. Max is a little aloof and slackerish so it might take you time to warm up to him, but his girlfriend Parvati is totally badass and fun, and both of them really grow and change over the course of the novel. (You know how I love me some character development!) And no worries, this is a total standalone book, plotted and written as a solo novel. 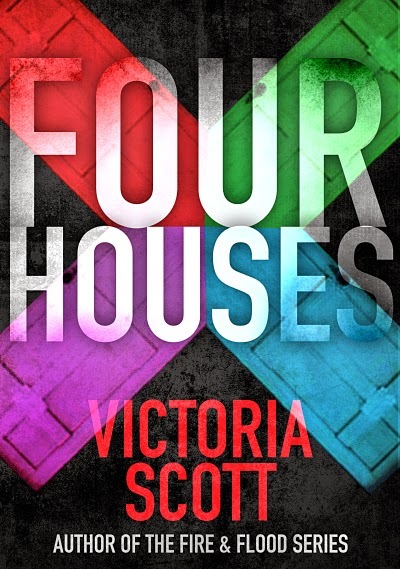 This cover is of a short story by Victoria Scott! If you're not familiar with Victoria Scott, you should be! I've read and reviewed all four of her published novels. Check out the cover of her upcoming short story release! I loved the first book (who didn't!? 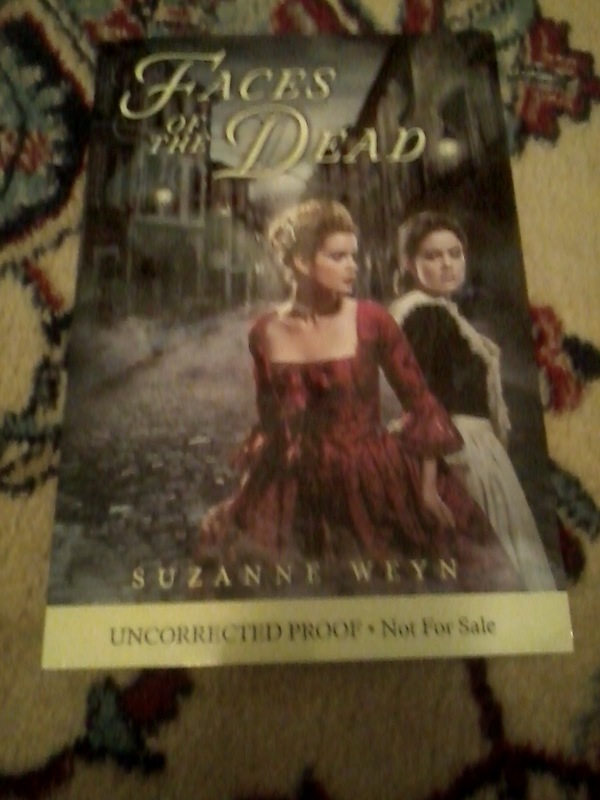 ), so I can't wait to read this one!